The weekend of March 23, 2012, all skaters had their eyes turned towards Tampa, Florida, for the Annual Tampa Pro, edition 2012. 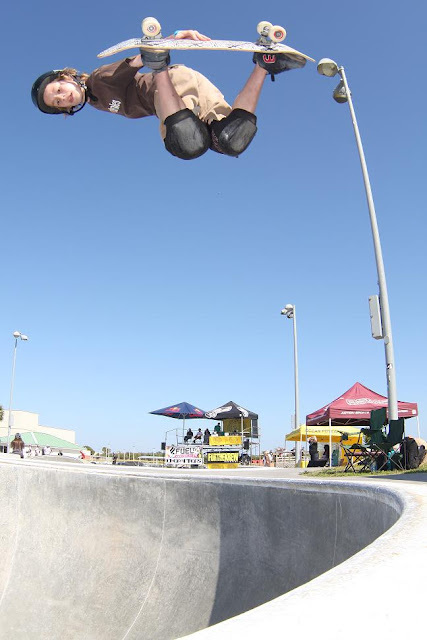 It is one of the more popular events put on by the Skatepark of Tampa although it is essentially geared toward street skating, with the vert contest organized during the Friday only. Usually, the Tampa Pro attracts the best skaters around and as always, this year there was no exception to the rule and the sport's elite were in the house for a skating was as hot as ever. Today was the Tampa Am 2012 Vert Contest and the TM and Industry VIP Contest. Both of them set records today. One had a record low number of participants and one had a record high number of participants. The event started with both an amateur vert contest and an industry contest. Because isTia.Tv is more into vert and bowl riding, we were more interested in the amateur vert contest and especially because some of our favorite skaters were competing in it. All the Ams were equipped with bags full of tricks and undoubtedly hungry for a big win. Alex Sorgente, Clay Kreiner, Beaver Fleming and Evan "Big E" Doherty put on a trick filled show. When the dust cleared it was Clay Kreiner who found himself in 1st place followed by Alex Sorgente and Beaver Fleming. Evan “Big E” Doherty landed at an amazing 4th place despite his very young age. Big E is one of the future star of the vert-bowl skateboarding and you can read Evan Doherty’s interview on isTia.Tv. The last of the five winners was no less than Jake Ilardi. Of course, this results is not really a surprise since the Tampa Pro also reunites the best Ams vert skaters of the country. Unfortunately, the contest was not endorsed by the World Cup Organization (WCS) and the results did not count towards the general yearly results.